Some 25,000 retail locations in Singapore are expected to accept a new mobile payment service within the next 12 months. 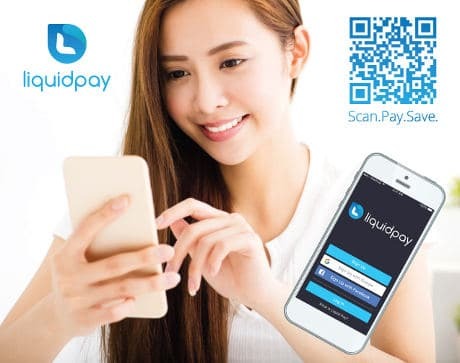 Liquid Pay enables consumers to make payments by scanning a QR code at the point of sale, and compare merchant discounts and rewards from within the mobile app. “Liquid Pay has just successfully completed trials at select hawker stalls in Bukit Timah and Tiong Bahru markets, food and beverage (F&B) outlets at One-North/Galaxis and all Spinelli Coffee Company outlets,” Liquid Pay says. “By adding their credit and debit cards onto the Liquid Pay app, consumers are able to compare the various card discounts and merchant rewards when making payments,” the company adds. “To pay for their purchase at checkout, consumers scan the merchant’s individual QR code at the point of sale with Liquid Pay’s QR code reader. “Consumers can then view the savings, offers and rewards available with different payment methods, select the most beneficial one for that particular purchase and complete their transaction. “Merchants accept payments via QR codes without the need to upgrade equipment or make any costly upfront investment. Merchants and banks can also deepen engagement with customers by extending dynamic, real-time, hyper-personalised promotions and offers.